The Kindle Voyage delivers higher resolution, new page-turn tech, improved contrast, smoother glass, and other improvements you didn’t know you wanted. The Kindle Voyage? 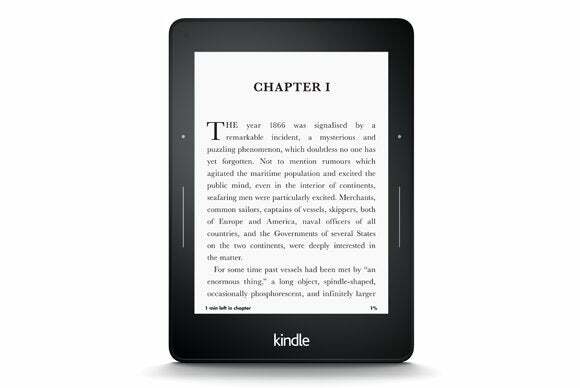 The name makes no sense, but I understand why Amazon didn’t call its latest e-reader the Paperwhite 2. It’s good enough to deserve a name all its own. The Kindle Voyage is stuffed with new features and meaningful improvements over the Paperwhite. I’ll cover the most important ones first. The Voyage’s screen delivers higher resolution than the Paperwhite: 300 pixels per inch. 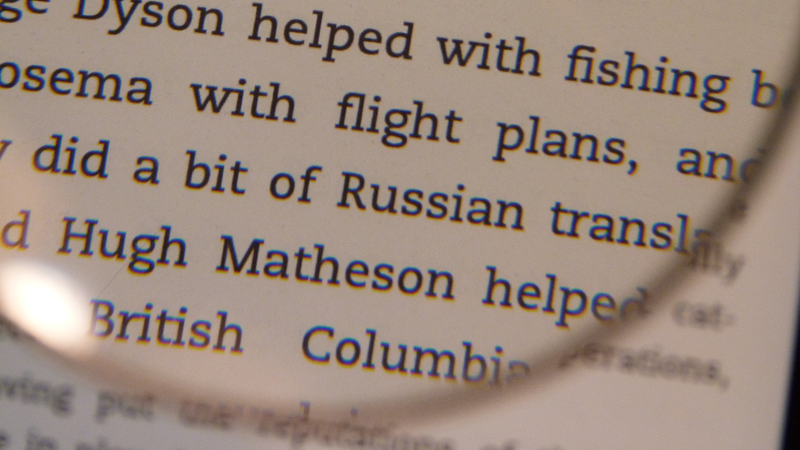 The Paperwhite’s 221-ppi display looks very good, but you can discern jagged edges in fonts if you look closely. With the Voyage, you can't see jaggies even with the aid of a magnifying glass. Jaggies are a thing of the past, thanks to the Voyage display's resolution of 300 pixels per inch. The Paperwhite introduced a front light that made its E-Ink display readable under any lighting conditions. The Voyage keeps this feature but adds a light sensor that automatically adjusts the brightness in response to the level of ambient light. This not only eliminates the need to adjust the brightness every time you start reading, it should also increase the Voyage’s battery life. Enable the “nightlight” feature, and the screen brightness will gradually dim as your eyes adjust to a darkened room. For me, the next biggest improvement is the texture of the Voyager’s glass. That might seem like an odd thing to put so high on a list of improvements, but the Paperwhite’s glass has this grainy, almost pebbly texture that literally rubs me the wrong way. I viscerally dislike the way it feels under my thumb or fingertip when I stroke the glass to turn a page or touch the screen to call up a menu or a definition. It just feels weird, even if it wasn’t bad enough to drive me back to my first-gen Kindle. The Voyage’s glass is as smooth as the glass on any laptop or smartphone I’ve used, and there’s no transition between the bezel and the display. And the Voyage’s new page-turn buttons are just as important as the texture of its glass. Amazon embedded four surface-mount buttons (Amazon calls them PagePress sensors) on the right and left bezels that make turning pages even easier: A slight squeeze on the vertical lines on either side of the bezel advance pages, and the same action on the dots above those lines reverse pages. This means you can hold the Voyage in your left or right hand, and the buttons work even when the e-reader is in its case (more on that later). In addition to the obvious visual cue of the page refreshing, the Voyage provides a bit of haptic feedback when you’ve applied enough pressure to effect a page turn. You can fine-tune the amount of pressure needed to activate page turns, too. The screen on the Voyage (left) is brighter and whiter than the one on the Paperwhite (right). For me, the buttons are big improvement over stroking or tapping the glass (those page-turn methods are retained in the new Kindle). I grip my Paperwhite with four fingers on the back and my thumb in front, so I turn pages by stroking the glass with my thumb. A mild case of arthritis in the base of my thumb joints renders this motion not exactly painful, but uncomfortable enough to be distracting. I can squeeze the page-forward button without moving my thumb at all, and I need to slide it up just about an inch to reach the less-frequently used page-back buttons. One thing I should point out, especially for people like me who don’t take enough time to read a user manual: You need to press down slightly on the buttons to make them work. Tapping, as you might do with the trackpad on your laptop, won’t work—at least not reliably. Here's how the Voyage Origami cover works. Compared to the Paperwhite, the Kindle Voyage is slightly thinner (0.30 inches versus 0.36 inches) and slightly lighter (6.3 ounces versus 7.3 ounces). Amazon moved the power button to the back of the device, which makes it easier to find and manipulate than the tiny button that’s on the bottom of the Paperwhite. It still relies on a micro USB cord for charging, and Amazon still includes a USB cable but requires you to buy the power adapter separately. I don’t know how much profit Amazon makes on the Kindle Voyage, but they must be making a killing on protective covers at $45 a pop ($60 if you want leather). 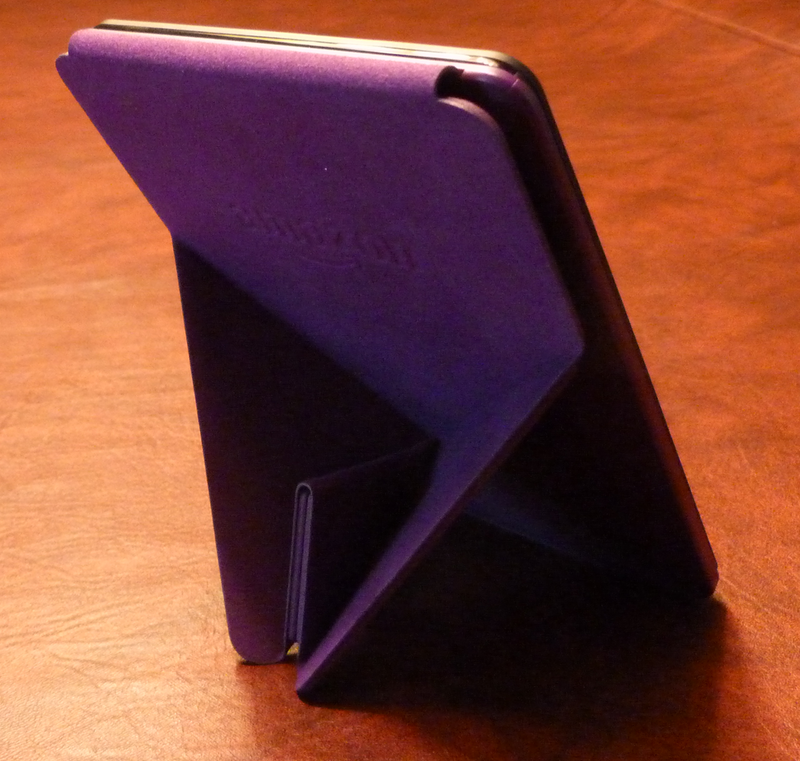 The cover is brilliant, though, consisting of a tray with strong magnets that hold the Voyage it in a very tight grip (the e-reader’s rear panel is fabricated from magnesium), and a thick flap that protects its display. A set of strong magnets in the flap holds it securely to the Voyage's front bezel when closed, and to the magnesium back when you flip it over the top to read. Push up in the middle of the bottom edge of the flap, and it folds origami style to make a prop-stand for reading. That’s a whole lot better than leaning it against a coffee cup. The ingenious, but pricey Voyage "origami" cover can be folded into an easel for easy hands-free reading on a table top. Cover the display when you’re done reading, and the ambient light sensor immediately puts the Voyage into sleep mode. Open it back up, and the device comes fully back to life before you’ve completed the motion. There’s really never any need to push the power button. Third parties are offering less-expensive covers, which I haven’t reviewed, and I imagine the price of Amazon’s covers will drop as the Voyage’s newness wears off (although that could be a while. This review was written on October 23, and Amazon’s website indicates it won’t have units in stock until November 24). The only other significant criticism I can muster for the Kindle Voyage is to gripe about its price tag. Comparing versions with Amazon’s “Special Offers” (ads that pop up when you’re not reading), the delta between the $79 Kindle and the $119 Kindle Paperwhite is $40. You’ll pay twice that premium to move from the Paperwhite to the $199 Voyage. It costs an additional $20 to eliminate the ads, and a cool $70 to get 3G connectivity in addition to Wi-Fi. I’ve always scoffed at the idea of paying so much more to get 3G connectivity; but now that I’ve experienced it with the Voyage, it’s pretty easy to want. Getting rid of the ads and including 3G elevates the price of a Voyage all the way to $289. You can buy a 7-inch Kindle Fire HDX for $179, but I’m a bit of purist when it comes to reading. I want the most book-like experience I can get. The Paperwhite comes very close, but the Voyager knocks it out of the park. Having said that, I think the Paperwhite still delivers the better price-to-performance ratio both for someone buying an e-reader for the first time, and for someone upgrading from a stock Kindle. 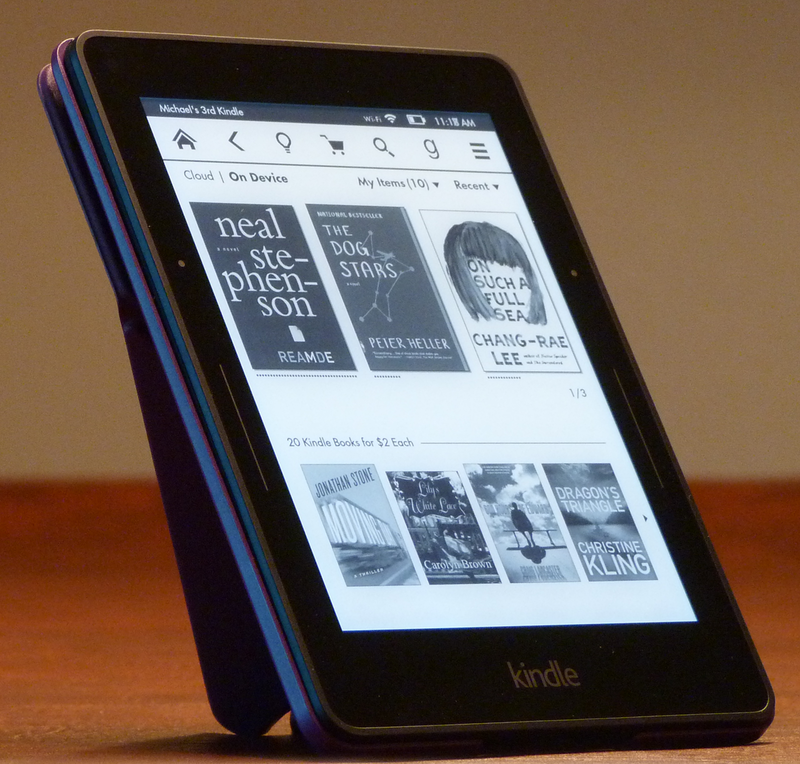 The Voyage is the best e-reader on the market, but Amazon has hung a price tag commensurate with that position.